The cannabis industry is entirely comprised of startup businesses. Therefore, as the industry continues to mature and evolve, cannabis startup businesses continue to learn from one another. They also share in their experiences. This knowledge is vital to the continued progress of the cannabis space – the value of cannabis industry networking cannot be over emphasized. Developing a trusted network of peers is essential for small business growth in the cannabis industry. The best companies are all working towards a common goal of success through professionalism. This notion especially applies to cannabis recruiting services, where a trusted networked of like minded individuals is a must. As a recruiting service, M&F Talent sees the inherent value in networking at cannabis industry events. To this end, we have partnered with Sensi Media Group as Advisory Board members as Denver / Boulder Colorado recruiting service. We are thrilled to be a part of such a progressive organization. 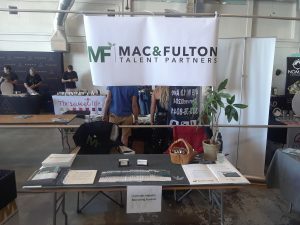 M&F Talent is also excited to share our hard-won experiences with other cannabis startups and medical marijuana advocates. To kick-off our new partnership with Sensi Media Group, M&F Talent exhibited at Sensi Day on July 14, 2018. Sensi Day offered some great market exposure for M&F Talent. To this end, we had the opportunity to speak with some new companies in the Colorado cannabis industry. 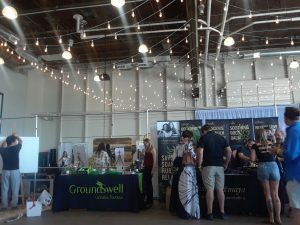 Hosted at the Stanley Marketplace in Aurora, CO, the cannabis industry networking event also allowed us to spend time with candidates we have worked with, which is always a pleasure. Finally, M&F Talent was able to discuss our cannabis recruiting service with some amazing new Colorado cannabis professionals. We absolutely look forward to working with them in the future. Sensi Media Group offers quarterly networking events like Sensi Day in various medical and recreational cannabis markets throughout the United States. Be sure to check them out to develop your own network of startup businesses and like-minded peers in the cannabis space!